July 1, 2017, Saturday, Party's Day, Sunny day. In the afternoon, we organized an activities of Care for the community. Now I would like to talk about the feelings of this event. Personally opinion, it is really needed for the company to participate in public welfare activities every quarter. In the meantime, we can earn a feeling of pleasure and accomplishment which you can’t not feel in normal days. Why talk it in public? It is not to prove to others. But to publicize the idea of do public service and to stimulate everyone's enthusiasm and motivation. Everyone should have a sense of responsibility to society, even though we can do something insignificant, but to ourselves, to others, to the society, is a harvest. About the arrangement of this activity, I think it is a challenge for individual organizational skills, but also a chance to exercise. Since there was no previous experience, the activities of the organization is not successful in general. Preparation is not sufficient, which caused a certain embarrassing atmosphere to the follow-up activities . Even though, we have learned a lot from it. For example, accumulated experience for next similar activities , we need to prepare several sets of programs according to different circumstances and give a preparatory program; do full pre-investigation and so on. 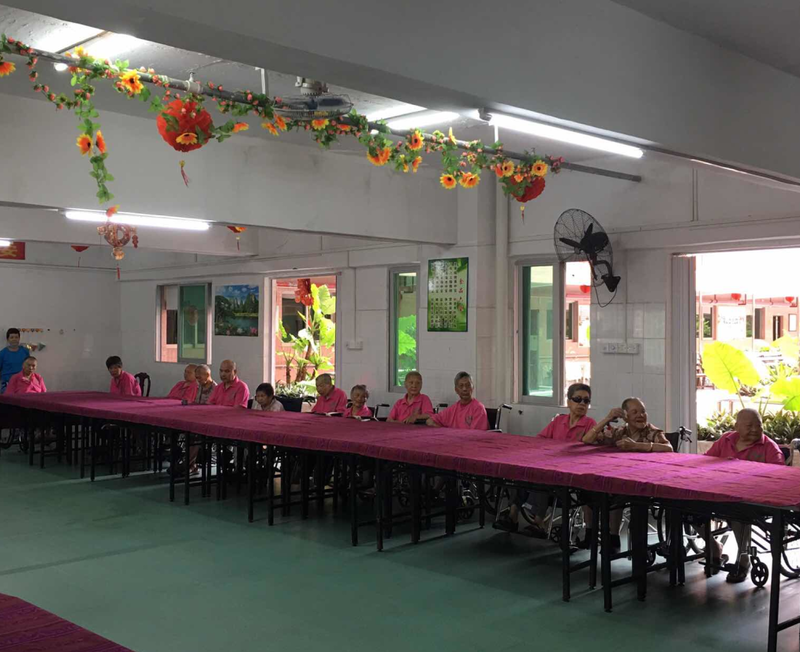 When we arrived at nursing home in the afternoon, the old people are sitting in the Canteen and watching TV. The feeling of my first glance is, how small the number of people? It is a big difference with the information provided by the contact. After checked, i found that a lot of old people lying in bed and can not to come. The second feeling is that many of them who sitting here are mobility. Seeing their gray hair, wrinkled face, rickets body, some old man hemiplegia, shrinking hands do not listen to the call, some dementia.That moment i feeling distressed. These old people just like our grandparents. They dedicatetheir youth and strength without reservation to their family, children, society. They suffering, after years of vicissitudes. It is lamenting the years ruthless and life easy old and let us know the precious of life and youth of the short, we should be grateful to the elderly, cherish life. In addition, we all have different feelings. Summed up, firstly, we should care for the elderly in our daily life , give them some warmth; Secondly, we should call on the community, as children, should give your parents a little more love, spend more time to accompany them; Thirdly, as the younger generation, we should do more exercise, so you can have a strong physique, for your own future, and it can also reduce the pressure of your children. During the activities, we sing a few songs, also brought some fruit and milk for the elderly . At the same time, there are many nursing workers show their talent and bring a lot of joy. Activity time did not last for a long time. At the back of the stage, we give the elderly a massage. 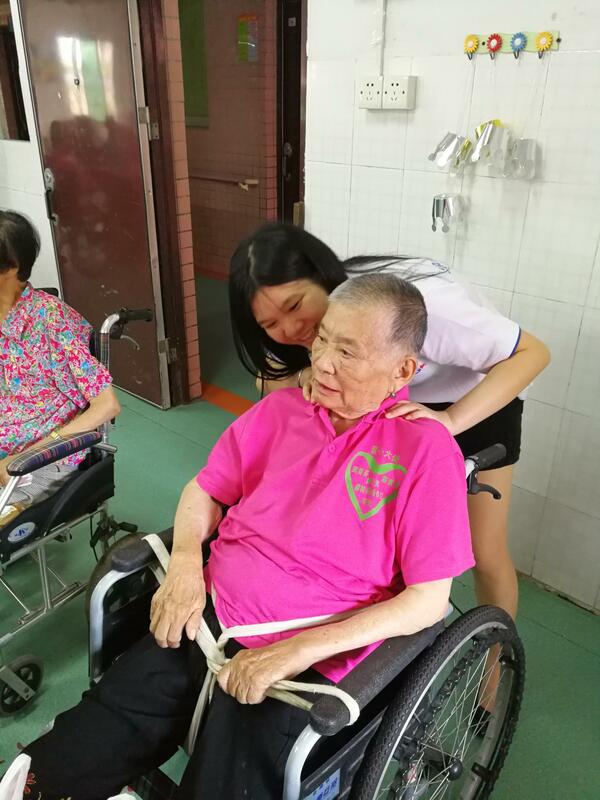 Most of the elderly can not speak Putonghua, but eyes of the exchange can also bring some comfort to them. The old people began to their dinner at five o'clock in the afternoon, we sitting side of them and folding paper cranes. And we send them our blessings after their meal, hope they can be happy every day in the future. There are many details and touched in the activities, all in the words. After activities , we take a photo together and bid farewell. We are very sad, almost coming tears. Hope they are good and we can have more opportunity to go there and visit them.